I took a business class in Rome one summer and on the first night, my classmates and I went out to enjoy a big Italian dinner together. We found an adorable restaurant and chose a table outside so we could eat al fresco, and bonded over good food and even better wine. All was perfect until we got the check. Little did we realize, was that our cute little restaurant was in the heart of touristy Rome (right off Via del Corso), hence the inflated price. At this rate, we wouldn’t be able to afford to eat out every night. I will say that the chicken cacciatore was some of the best I’ve ever had, but when I visited Rome again a few years later, I was determined to experience la dolce vita and still have some euros to spare. With that, here are some tips to help you save money in Rome, which is reason enough to treat yourself to an extra gelato. One great thing about Rome is that many top sites are free. The Spanish Steps, the Pantheon, Villa Borghese, the Trevi Fountain (except for the coin your throw in to ensure a trip back to Rome) and churches including St. Peter’s Basilica are all accessible without opening your wallet. Even the Vatican Museum has free admission on the last Sunday of the month. It’s also a good idea to check local events calendars since there always seems to be a free concert or festival going on in Rome. Kicking back in one of the city’s many piazzas or strolling through colorful neighborhoods like Trastevere or Testaccio are other great ways to spend an afternoon. Chances are that other sites like the Colosseum and Castel Sant’Angelo are also on your list of things to see in Rome, which is why the city’s Roma Pass is a good investment. The pass is valid for 3 days and grants you free entry to 2 of the more than 45 participating museums, monuments and archaeological sites, as well as discounts on other sites. You also get direct access at the first 2 sites (hooray, no lines). Another perk is that the pass also covers public transportation (metro, bus and tram) during the 3 day period, whereas a regular 3-day ticket would cost 16.50 euros. It comes with a map of all the participating sites, but you can also download the new Roma Pass companion app, which has information on the sites and other events happening in Rome. 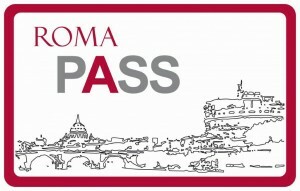 The Roma Pass costs 30 euros (price current as of 2013) and can be purchased at any participating site, online or at PTI tourist information points and ATAC ticket offices. To save time, I order my Roma Pass online and pick it up at the Fiumicino airport as soon as I arrive in Rome so that I can hit the ground running. Here’s a tip, make one of your free sites the cumulative ticket for the Colosseum, Roman Forum and Palatine Hill (which would cost around 12 euros), and you’re already on your way to getting your money’s worth. As I learned on my first night in Rome, eating out can be a potentially expensive venture – that is unless you know where to look. One of the things I’ve found the most beneficial is to stay in an apartment over a hotel. I’ve rented apartments three different times, which in itself has a lot of perks like cheaper rates (especially if you’re traveling with several people) and a place to spread out and call home while you’re in Rome. Apartment rentals are often stocked with basic cookware, which gives you the opportunity to prepare some of your meals at home. Saving on even a few breakfasts or dinners during your trip can go a long way. The best way to take advantage of your home away from home is to shop locally. I love browsing the stalls of fresh produce in markets like Campo de’ Fiori or Mercato Trionfale, as well as the aisles of a supermercato, where you can pick up everything you’ll need to prepare an authentic Italian meal. Another alternative to eating at home is to pick up some fruit, olives, cheese, meat and bread to assemble a picnic that you can enjoy in a park for a leisurely lunch. Stand versus sit – In bars and cafés, tables are often more expensive (especially tables outside) than if you order and eat standing at the bar. This is perfect for a quick breakfast of a cappuccino and cornetto or afternoon espresso pick-me-up. Lunch versus dinner – You can usually get the same great meal for less by eating earlier in day. It’s also a good idea to check menu boards outside for daily specials, or if you’re traveling with others, you can share a primi and secondi piatti or order a few antipasti to go around. Get it to-go – Instead of a sit-down lunch, grab a piece of pizza or a panino for a quick and easy bite that won’t slow down your sightseeing. Just be careful not to eat or drink in areas of “particular historic, artistic, architectonic and cultural value”. Wait, isn’t that the entire city of Rome? Drink the water – Bottled water from street vendors can cost you at least at euro a pop (or even more in touristy areas). Since it’s important to stay hydrated, it’s more economical to buy a bottle once and refill it at one of the many nasoni fountains throughout the city, which provide clean, cold and free drinking water. And drink the wine – House wine that is. Vino della casa is the best deal if you’re budget-minded, and can be ordered in various-sized carafes, un quarto (quarter-liter), un mezzo (half-liter) and un litro (one-liter). Check the menu for add-ons – Servizio incluso means that the gratuity is already included in the menu price, and pane e coperto is a “bread and cover” charge, usually a few euros, which you’ll pay even if you don’t eat the bread. Look for these phrases on the menu to know what kind of fees you’ll be subject to. Everyone loves to save money, but that doesn’t mean you shouldn’t treat yourself at least a few times while traveling, especially in city like Rome. After all, what better place to do as the Romans do? 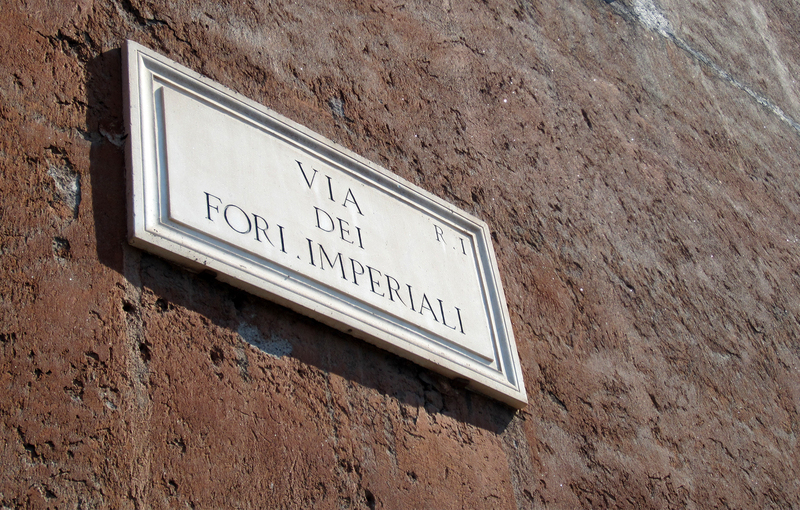 Have any other good tips for traveling in Rome? If so, share them below! Wonderful advice!! I will use on my trip!